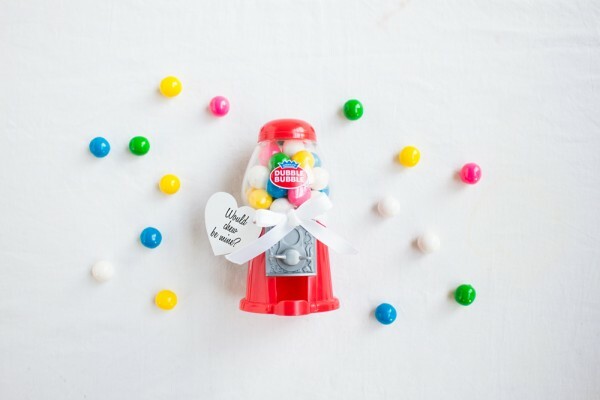 We’ve always been a little obsessed with paper pinwheel decorations. 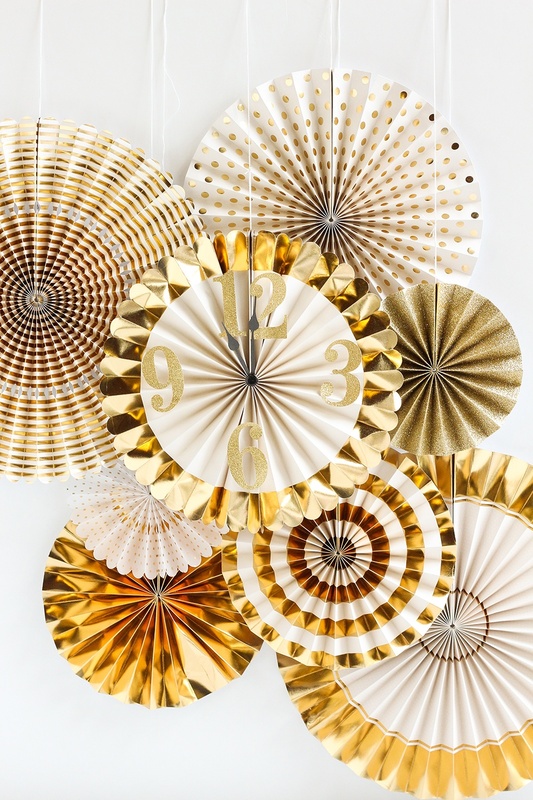 Their fun shapes, colors, and patterns add such a wow factor to any event, and today we’re here to share an easy way to turn paper pinwheels into an extra festive New Year’s Eve party decoration. 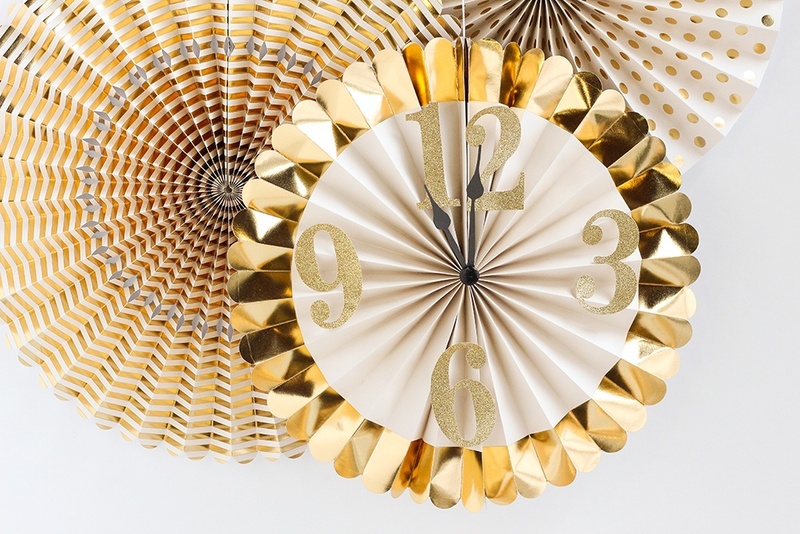 Of course, a big part of New Year’s Eve is keeping an eye on the clock for the countdown to midnight — so when we got the idea to make paper pinwheel clock decorations, we just knew we had to share! Check out how beautiful and easy these are to make below. First, unfold your paper pinwheels so that they are in a circular shape. On the backside of the pinwheel, secure the shape by paperclipping the two ends together. Next, add your number stickers at the 3, 6, 9, and 12 spots. To make sure our stickers wouldn’t budge, we added glue dots to the back.For the clock hands, cut out your desired shapes using black construction paper. Remember, the minute hand is longer than the hour hand. Next, secure the two hands together using a black brad. Use glue dots to stick the hands (with the brad) to the center of the pinwheel. Hang the pinwheel with string and you’re all set! What do you think of this decoration idea? 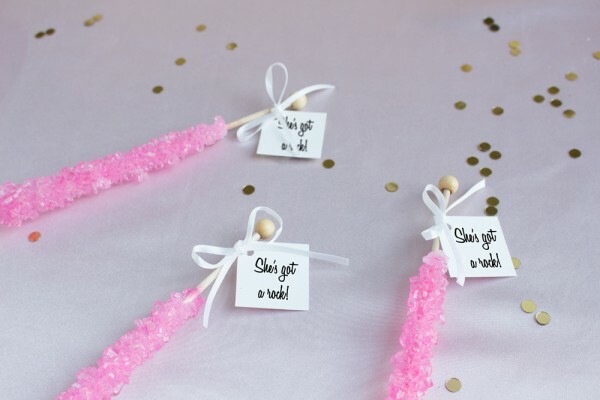 Are you hosting a New Year’s Eve party this December?